So many movies come and go, most of them forgettable. But some are destined to be talked about before they even hire a crew, let alone hit theaters. Take Black Panther, for instance. This was a movie which was always going to be noteworthy. It’s not just one of the few movies that focuses on a black superhero, it has a cast and crew consisting almost entirely of black people. And that superhero, T’Challa (Chadwick Boseman), is king of the fictional African nation of Wakanda, which, far from needing any kind of assistance, is one of the most technologically advanced countries in the world. In other words? The characters who populate this movie are not struggling with the usual issues people of color face in so many Hollywood movies. Addiction, gang violence, and imprisonment are completely absent. T’Challa and his family are not only far from broken, their unconditional love and support for each other is the model of a kind of healthy household we rarely see. Even more rare, Black Panther is a film geared specifically toward black audiences that everyone will see. Typically, such films are seen as niche in the vein of the Best Man or Barbershop franchises, and, most notoriously, Tyler Perry movies. But with the success of films such as Girls Trip and Get Out, it seems that the mainstream film industry is finally starting to realize that inclusive filmmaking is also good business. Such a realization also means a commitment to capitalizing on trends found in less mainstream media. And in a time where being ‘woke’ is increasingly becoming commodified, Black Panther also makes a commitment to explore what it means to not only be black in America, but to be African in today’s world. And it does so through the eyes of black people themselves, rather than being otherized through a white lens. The result is one of the richest, most vibrant worldbuilding I’ve ever seen on the big screen, with a story that embraces African customs and life in a way that makes no apologies, or any need whatsoever to justify or prove anything to white people. This should not be radical. But it is. For proof that this is still seen as a threat in some quarters, look no further than the Internet campaign by alt-right Internet trolls to lower the film’s score on IMDB and Rotten Tomatoes. The film takes place about a week after the death of T’Challa’s father, and T’Challa must now come into his own as a king at a time when he and his country are at a crossroads in many ways. Wakanda has maintained its prosperity in part because its people have isolated themselves and hidden their capabilities from the world. But much like ours, their world is shrinking, and T’Challa must decide whether to continue this tradition or reveal that his country is not the impoverished nation it pretends to be and offer aid to those in need. Unbeknownst to him, this isolationism has already created one of the best Marvel monsters ever to hit the screen in the form of Erik Killmonger (Michael B. Jordan). MCU villains have a poor on-screen track record, but Killmonger is not merely a dark reflection of the hero. He’s a deeply sympathetic, tortured man who has been radicalized not only by the many ways America has scarred him, but Wakanda also. His response has been to literally scar himself as a living reminder of the many ways those who have been brutalized often go on to brutalize others. His plan to take the Wakandan throne will result in its weapons being used to kill indiscriminately across the globe. You’ll mourn for this man as much as you fear him. It’s a painful truth to contend with, but we also have Marvel’s trademark blend of effects, action, and most importantly, humor, to prevent Black Panther from becoming the kind of dour meditation that wallows in its own smugly somber tone. In other words, it is in no danger of becoming a typical DC movie. Most of that is due to director Ryan Coogler, who also co-wrote the script, and the amazing supporting cast, which includes Angela Bassett, Forest Whitaker, Daniel Kaluuya, and Lupita Nyong’o. The women are especially done justice, with relative unknown Danai Gurira shining as the Okoye, a flawed warrior who is nevertheless deeply committed to serving the Wakandan throne. Letitia Wright is also fantastic as T’Challa’s younger sister, the tech expert who is also the main source of the movie’s spot-on humor. Likewise, Nyong’o is reliably compelling as a love interest who eschews rescue and has far more development and depth than such roles typically feature. 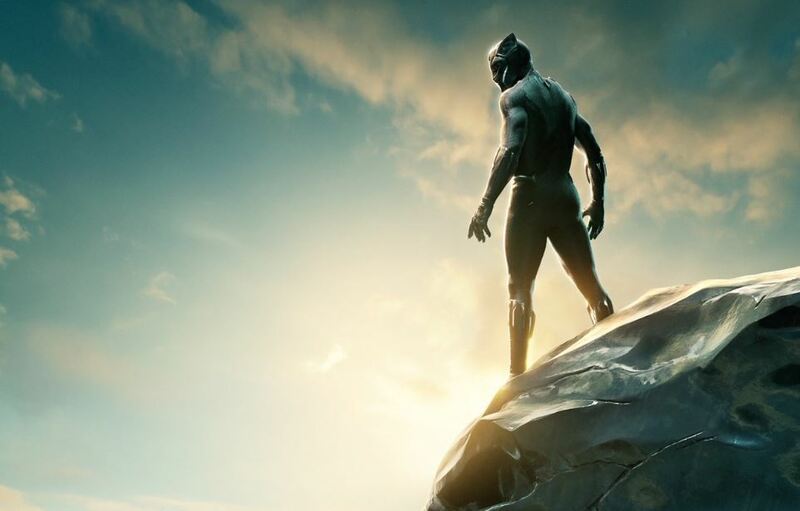 If there is a tiny crack in Black Panther’s armor, it is in its reverence for those born with the mantle of power rather than exploring how the people born outside of the royal gene pool have a say (or don’t) in how Wakanda is run. Such a flaw, however, barely detracts from the blissful cinematic experience that is Black Panther. The latest MCU offering is an incredible blend of humor, action, and questions about how to cope with oppression. Andrea Thompson is a writer, editor, and film critic who is also the founder and director of the Milwaukee Women's Film Festival. She is a member of the Chicago Independent Film Critics Circle and runs her own site, A Reel Of One's Own. She has no intention of becoming any less obsessed with cinema, comics, or nerdom in general.